Google's portion of the wearable industry was relatively stagnant for quite some time, but in early 2018, the company performed a massive overhaul of its wearable OS, formerly dubbed Android Wear. Now known as Wear OS, Google's smartwatch software is cleaner, smoother, and easier to use than it's ever been. It features full Google Assistant integration, an improved notification system, and all-new gesture-based commands for navigating various menus. Operating system overhauls aren't the only evidence we have that Google is taking the industry more seriously. Google is set to acquire $40 million worth of smartwatch maker Fossil's technology. 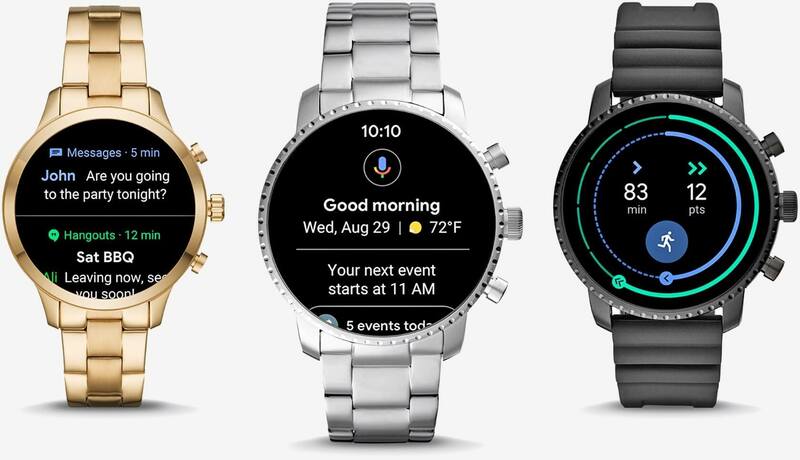 To be clear, Google isn't buying Fossil outright; just a portion of its hardware research and IPs related to smartwatches. As Fossil itself notes, the company will retain "more than 200" R&D team members who will continue to focus on developing innovative new products. The acquisition, which is expected to finalize in late January, could mean Google is finally gearing up to directly take on Apple's Watch with its own branded wearables. Perhaps 2019 will be the year we see the first Google Watch?